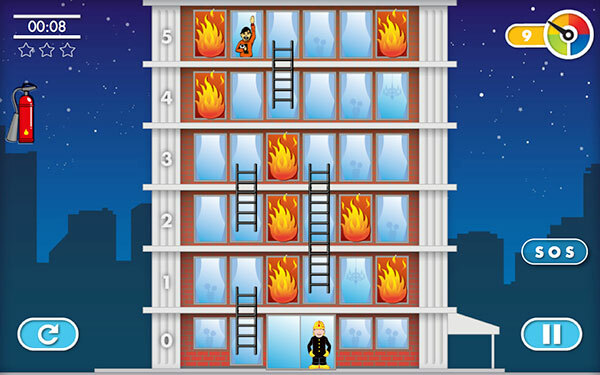 Your rescue route will take your through both sides of the building but you will only see one side at a time. 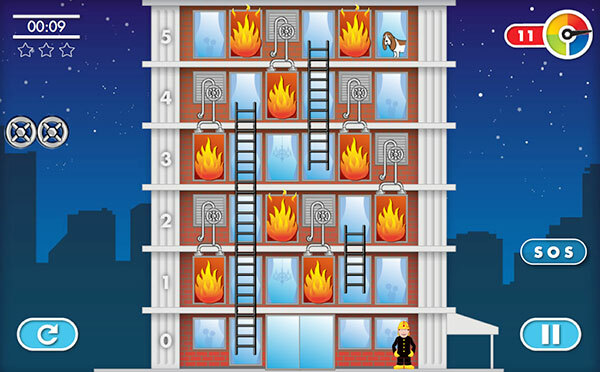 The flames don't need to halt your progress, because your fireman will be armed with fire extinguishers. 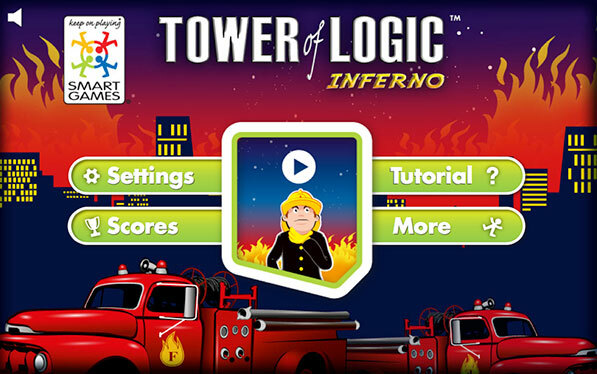 This online puzzler is based on the original Tower Of Logic Inferno by SmartGames!